So! How cool is this! The world of music as heard by our dogs! Many people beyond Jean and me must be aware that whatever is showing on the television has a very soothing effect upon dogs. As in our dogs are quickly fast asleep in the evenings when we sit down after our evening meal. Mary Jo DiLonardo, a frequent writer over on the Mother Nature Network, recently wrote about the calming influence over dogs of certain types of music. It’s a great read and I’m very happy to share it with you. Study of shelter dogs finds music lowers cortisol levels, heart rate. 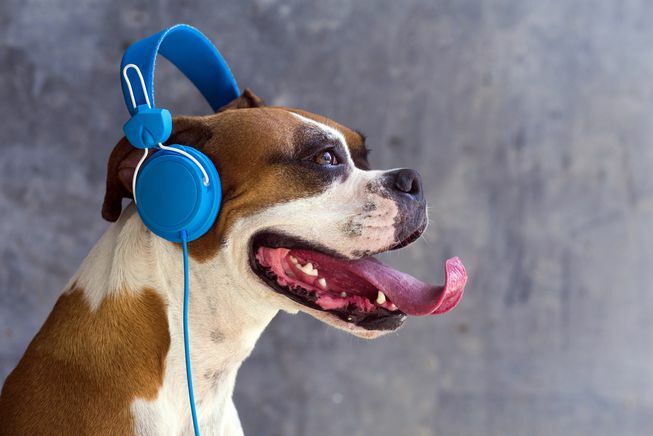 When you crank the music, do you ever think about your dog’s musical tastes? If your pup needs to chill, you may want to put on some Bob Marley or John Denver. Researchers at the University of Glasgow worked in conjunction with the Scottish Society for the Prevention of Cruelty to Animals (SPCA) to see how various types of music affected the stress levels of kenneled dogs. Shelter dogs listened to a wide range of music from Spotify playlists. The genres varied from day to day, with the furry residents listening to classical, reggae, soft rock, pop and Motown in a series of experiments. While each genre was playing, the researchers measured the dogs’ stress levels by monitoring their heart rate variability and cortisol levels. They also kept track of whether the dogs were lying down or barking while the music was on. The researchers found that regardless of what type of music was playing, the dogs were generally “less stressed” with music vs. without. They spent significantly more time lying down (versus standing) when any type of music was playing. They also seemed to show a slight preference for reggae and soft rock, with Motown coming in last, but not by much. The responses to the genres was mixed, co-author Neil Evans, a professor of integrative physiology, told the Washington Post. The results make a good argument for playing music in shelters, where dogs can be frightened by unfamiliar surroundings. 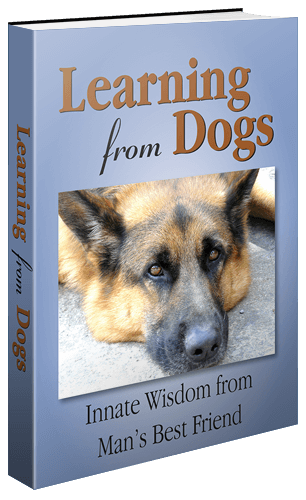 Evans points out that stress can cause dogs to bark, cower and behave in ways that makes it hard for them to be adopted. It’s worth noting that in the tests, playing music of any kind didn’t make barking dogs stop barking; however, when the music stopped, quiet dogs were more likely to start barking. Two of the Scottish SPCA’s facilities now play music for their residents, and the research has convinced them to expand the program. The research has been published in the journal Physiology & Behavior. Really great work on behalf of our wonderful dogs. Who knows! The findings from this research may filter down to that species of creature that tends to share their world with dogs: homo sapiens! Reality will intrude whatever we believe. “Antarctica is starting to melt,” warns expert glaciologist Dr. Eric Rignot. Over the past twenty years, Dr. Rignot has analyzed reams of carefully procured data, and his discoveries indicate a rapidly deteriorating environment which could forever alter the fate of mankind. Here, in the midst of the Antarctic plains, wind is circulating at an unprecedented rate and pushing warm waters underneath the massive sheets of ice. This dynamic effectively melts these sheets from the bottom up, and has a profoundly distressing impact on rising sea levels. But even the slivers of hope which do exist seem impossible to realize given the gridlock of governmental leadership within the United States, as its representatives remain sharply divided on the mere existence of climate change. “I think it’s almost like denying gravity now,” says Vice President Joe Biden in an interview which closes the film. Our Rising Oceans paints a powerful portrait of a planet on the brink of ruin, and the political dysfunction which continues to push it over the edge. Now in that opening paragraph I deliberately used the expression “was available” because when I came to check that the video, a YouTube video, was available, I received a “This video is private.” message. So all I can do is to offer you the link to the Top Documentary Film page for Our Rising Oceans and hope that you are able to freely watch the full documentary. The link is here. The documentary was scary and only confirmed the truth of what Jean and I instinctively felt – that unless those who lead and comprise all the governments of the free world react to the truth of where this planet is heading, and react soon, then the next great extinction is guaranteed. The first great extinction that is man-made! If for whatever reason the video is unavailable to you then, at least, do watch the trailer. 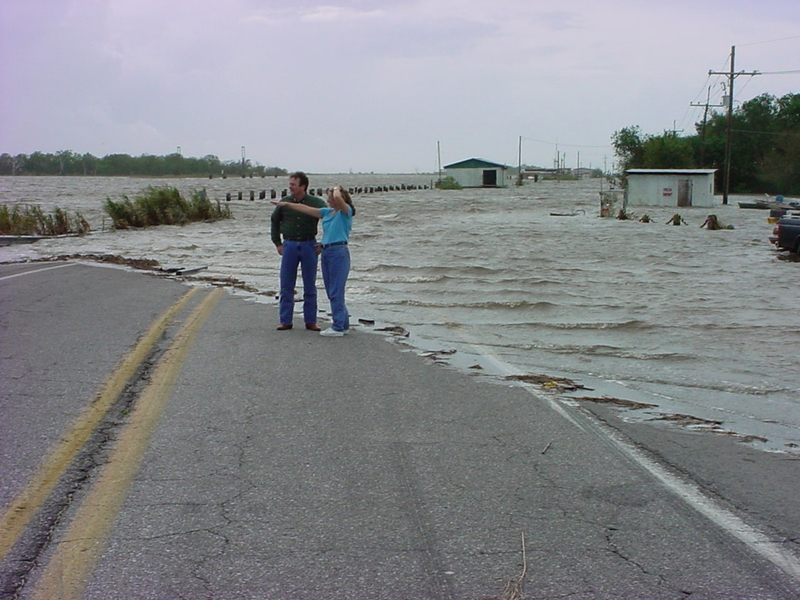 For if we, as in humanity, turn a blind eye to this then reality will have a way of reminding us of what science already knows: significant sea-level rises are guaranteed. Here’s a recent item from the Washington Post. A hundred years from now, humans may remember 2014 as the year that we first learned that we may have irreversibly destabilized the great ice sheet of West Antarctica, and thus set in motion more than 10 feet of sea level rise. Meanwhile, 2015 could be the year of the double whammy — when we learned the same about one gigantic glacier of East Antarctica, which could set in motion roughly the same amount all over again. Northern Hemisphere residents and Americans in particular should take note — when the bottom of the world loses vast amounts of ice, those of us living closer to its top get more sea level rise than the rest of the planet, thanks to the law of gravity. The findings about East Antarctica emerge from a new paper just out in Nature Geoscience by an international team of scientists representing the United States, Britain, France and Australia. They flew a number of research flights over the Totten Glacier of East Antarctica — the fastest-thinning sector of the world’s largest ice sheet — and took a variety of measurements to try to figure out the reasons behind its retreat. And the news wasn’t good: It appears that Totten, too, is losing ice because warm ocean water is getting underneath it. Once again, I’m going to be predictable in saying that our dogs wouldn’t be as half as mad as to deny the truth of what man is doing to our planet! But being careful about what our dogs eat is another story! This is not the first time that I have used this title for a blog post. The previous time was almost eighteen months ago when I highlighted a fascinating talk about the green revolution by Raj Patel, the award-winning writer, activist, and academic. Andy lost his appetite. Then came the vomiting, the unquenchable thirst, the constant need to urinate. Over several days last year, the spunky 4-year-old West Highland white terrier grew lethargic and lost more than 10 percent of his weight. Gude and his wife rushed Andy to their veterinarian, who referred him to a clinic 15 miles away. Doctors there sent a urine sample to a specialized metabolic lab at the University of Pennsylvania. Days later, test results confirmed the diagnosis: Fanconi syndrome, a rare, often fatal illness that affects the kidneys. The suspected cause: chicken jerky pet treats manufactured in China. The incident is part of a troubling mystery lasting more than seven years, with reports of at least 600 dogs dying and thousands of others sickened. It has outraged unsuspecting pet owners, confounded the Food and Drug Administration and put the pet food industry’s manufacturing practices under a microscope. Bernadette Dunham, director of the FDA’s Center for Veterinary Medicine, has called it “one of the most elusive and mysterious outbreaks we’ve encountered,” a sentiment echoed by others at the agency. The FDA says it has tested more than 1,200 jerky treats in recent years, looking for salmonella, mold, pesticides, toxic metals, outlawed antibiotics, nephrotoxins and other contaminants. Federal officials have inspected factories in China that manufacture chicken jerky products for U.S. companies and sought input from academics, state and university research labs, foreign governments and the pet food industry. The agency even made its own jerky treats to try to duplicate the commercial process. The long-running investigation has paralleled a striking increase in the amount of pet food China exports to the United States. That volume increased from barely 1 million pounds in 2003 to an estimated 86 million pounds by 2011, according to the FDA. Pet treats, including the jerky treats at the heart of the current investigation, have made up a fast-growing sliver of the pet food market. Part of the reason many U.S. companies have looked to China to produce chicken jerky treats, industry officials say, is that unlike in America, people in China overwhelmingly prefer dark meat. That leaves a larger supply of the white meat used in pet treats available for exporting. The home page of her site displays a clock tracking how long jerky treats from China have been killing and sickening pets. It asks: “When will FDA make this clock stop?” As of Friday, the count stood at 2,643 days. Angry pet owners also have heaped criticism on U.S. companies that continue to manufacture jerky treats with ingredients from China. The backlash includes everything from skepticism over the industry’s assurances that the treats have never posed health risks to lawsuits alleging harm. As Susan Thixton was reported earlier: “If this were humans dying, and they couldn’t figure out a cause for seven years, members of Congress would be screaming at them.” Quite so! Nina Leigh Krueger, head of the Waggin’ Train brand, said most retailers and customers have welcomed the treats back. “Thousands of consumers have been calling and asking us for Waggin’ Train treats to be back on the market,” she said. Terry Safranek is not one of them. “It’s a kick in the gut to see them back on the shelf,” said Safranek, whose 9-year-old fox terrier, Sampson, who had eaten jerky treats, died of kidney failure in 2012. Since then, Safranek has become a plaintiff in a class-action lawsuit against Nestlé Purina and retailers including Target and Wal-Mart. She helped create Animal Parents Against Pet Treats and Food Made in China, a group that has petitioned the FDA to do better in alerting people about the potential dangers of jerky treats produced in Chinese factories. The link in the last paragraph takes the reader to the Facebook page for that group. Do go there and ‘Like’ the page. I will close by recommending you read the Washington Post article in full and then spend some time perusing the website Truth about Pet Food. This is not just about ‘Made in America’ but fighting to ensure that animal treats made in the USA are also using ingredients from the USA! Remember how Brady opened his article? With Alfredo Gude learning that their dog, Andy, had been diagnosed with Fanconi syndrome, a rare and often fatal illness that affects the kidneys of dogs. Our dogs (and cats) have a right to be fed to the same standards as us humans! Take a few moments and read this. Thousands could lose access to the Internet on July 9 due to a virus, DNSChanger, that once infected approximately 4 million computers across the world. The Federal Bureau of Investigation first gave details about the virus last November, when it announced the arrest of the malware’s authors. The virus, as its name indicates, affected computers’ abilities to correctly access the Internet’s DNS system — essentially, the Internet’s phone book. The virus would redirect Internet users to fake DNS servers, often sending them to fake sites or places that promoted fake products. Once the FBI shut down the operation, it built a safety net of new servers to redirect traffic from those infected with the virus. But that safety net is going offline next Monday meaning that anyone who is still infected with the virus will lose access to the Internet unless they remove it from their machine. To see if you have the virus, you can head to any number of checker Web sites such as the DNS Changer Working Group or the FBI itself to either enter your IP address or simply click a button to run a check against addresses known to have problems. With any luck, you’ll be free and clear and won’t have to worry about the problem any further. I chose the FBI website that is here https://forms.fbi.gov/check-to-see-if-your-computer-is-using-rogue-DNS as it seemed to have comprehensive instructions on what to do. Then chose the URL for English, that is this one http://www.dns-ok.us/ that directed me to a website that instantly confirmed that a) it was the correct website – DNS Changer Check-Up, and b) my result. Seems to me to be a message worth circulating as widely as possible. More than 300,000 people, including many in the US and UK, could lose internet access later as the FBI shuts off servers used by cyber thieves. Many machines still harbour the gang’s malicious code. Since the FBI raids the gang’s servers have been run by Californian company ISC. Over the last few months, the FBI has worked with many ISPs and security firms to alert victims to the fact that their PC was infected with DNS Changer. Online tools are available that let people check if they are infected. The largest group of machines still harbouring the infection are in the US but many other nations, including Italy, India, the UK and Germany, have substantial numbers still checking in with the ISC servers. If you have any doubt, do check your DNS as soon as possible.